The early Victorian era (1830s) primarily saw most of the music entertainment being held in public locations such as saloons. Unfortunately, the older music halls that people would enjoy music in earlier times within England were pushed out of existence by the urban development. Although many still stood, they had severely lost their popularity. The saloons would offer drinks, singing, and it was where most of the music and drama was performed during the early Victorian era. However, by the middle of the nineteenth century, there were some new music halls being built throughout London. These quickly became the place to go to hear some of the newer music and many people enjoyed visiting them regularly. 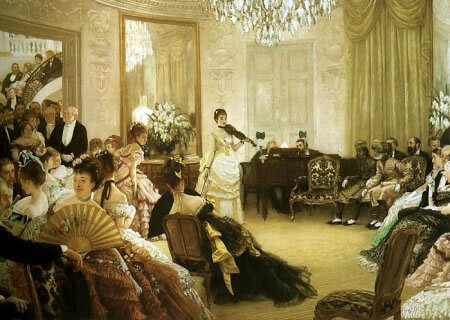 By the 1850s, there was a shift in what the most popular type of music was. Prior to this time people really enjoyed the older traditional folk songs. However, by this time a lot of the music had a more contemporary feel to it and it often contained humorous lyrics. Also, the house orchestras became more complex with the new and very popular piano becoming available in most music halls. Since there was so many people roaming around London with very little attachment to their cultural roots, it seemed that many of them had a strong desire for easily accessible forms of entertainment such as music. One of the ironies about most of these music halls is that they frequently had unruly crowds attending them. Any song played and any music artist must have the ability to hold the crowd’s attention. For this reason, many of the music halls stuck to some of the crowd favorites such as Golden Slippers and The Old Folks at Home which was written and played by Stephen Foster, one of the most popular music artists of the Victorian era. It was also around 1870 that some of the songs were becoming exclusively popular with certain singers. This was one of the first points in history where people began to have contracts that stated only the original songwriter could play the music without permission, just as many of the artists handle their music today. You can read more about below songs. 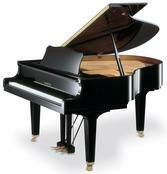 The piano-forte, which is now known as the piano, was often used in the music of many Romantic composers. Instruments such as the oboe and the bassoon were used often in the early stages of the Romantic Era, but were later replaced by certain variations of the saxophone. Brass instruments were used heavily in both orchestral music and the emerging bandstands. Tubas became an integral part of compositions. V&A museum in London has a large collection of musical instruments. Do check out what they have.